If you’ve trained in martial arts (or any physical activity) long enough, you probably know someone with bad knees. If you’re very unlucky, that person might be you. 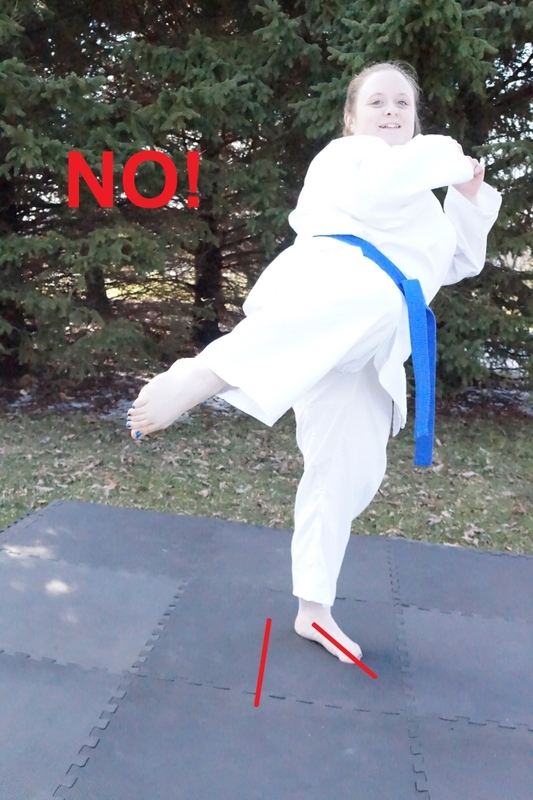 In martial arts, a lot of people suffer from knee injuries that could have easily been avoided. This is a guide for understanding, preventing, and managing knee injuries. Your knee is a more complex joint than it seems from the outside. Superficially, it’s a hinge joint covered by a knee cap. But if you look any closer than that, there’s quite a bit more going on there. If you’re feeling pain, or even just oddness, in your knee, it could be a sign of something very serious. Or it could be no big deal. Despite the complexity of the joint, knee injuries fall into two general categories: overload, and overuse. Overload injuries come from a sudden force that pushes the knee beyond its function. This can happen by an external force (falling or being struck), or by an internal force (a movement you initiated that caused the injury). Overload injuries can happen to any athlete in any activity, even at the highest levels of performance. They are sudden injuries that are very easy to notice. If you’ve ever banged your knee into a coffee table, that was an overload injury. Overuse injuries are a bit more insidious. These occur when smaller forces act on the knee repeatedly. By themselves, they are completely harmless when performed once or twice. However, with a lot of repetition, they can cause serious and even permanent injuries. Because they build up over time, it can be hard to figure out why your knees are hurting. All you know is that some movement you are practicing is causing small incorrect pressure on your knees. Because the problem is so subtle, it can be difficult to determine exactly what movement is causing the problem. However, it is paramount that you figure it out, because if you continue to practice in the same way, the injury will only become worse. There are times when “work through the pain” is a valid mantra, but this isn’t one of them. Don’t risk permanent damage to your knees just to prove you’re tough. You will probably need to work closely with your instructor to identify the exact problem, but this article should give you a good starting point. These are the most common ways that martial artists end up with knee pain. If your knees hurt for no apparent reason, one of the first thing you’ll want to check is the way you are standing. 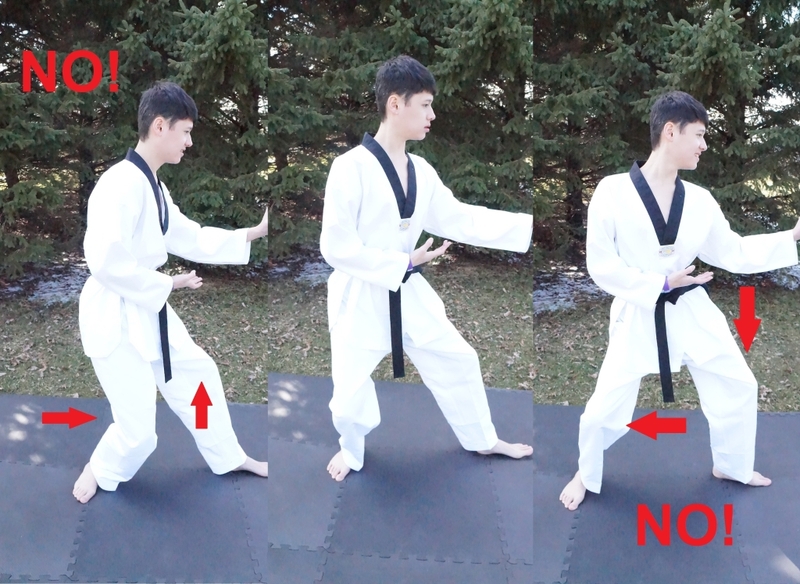 In taekwondo and karate, the biggest culprits are back stance and horse riding stance, because common mistakes in these stances can create incorrect pressure. You want to make sure your knee is well supported by your tibia and fibula over your foot anytime you have weight on it. This most often goes wrong when the knees “cave in” on back stance or horse riding stance. When the knee and foot point in the same direction (left) it creates the proper structure and support. With the knee caved int (right) it puts dangerous pressure on the inside of the knee. This is especially bad because not only does your structure lack support, but you’re also putting weight and pressure on the inside of the knee. Your knee is a hinge joint, so it doesn’t bend to the side. Repeated pressure in that direction is one of the worst things you can do. The camera angle isn’t ideal, but you can still see how the knees are over the feet in the correct version. You still want good support even in the direction that your knee actually can bend. Make sure your knees don’t bend by more than 90 degrees in any of your stances, and make sure your knee never extends past your toe on a load-bearing foot. This can happen on any stance, but it happens most frequently on front stance. Don’t let your knee extend past your toes. Notice how the pressure on the knees changes depending on the rotation of the hips and shoulders. You can see in the first picture, the hips are twisted to put pressure on the inside of the back knee, where most of the weight is. 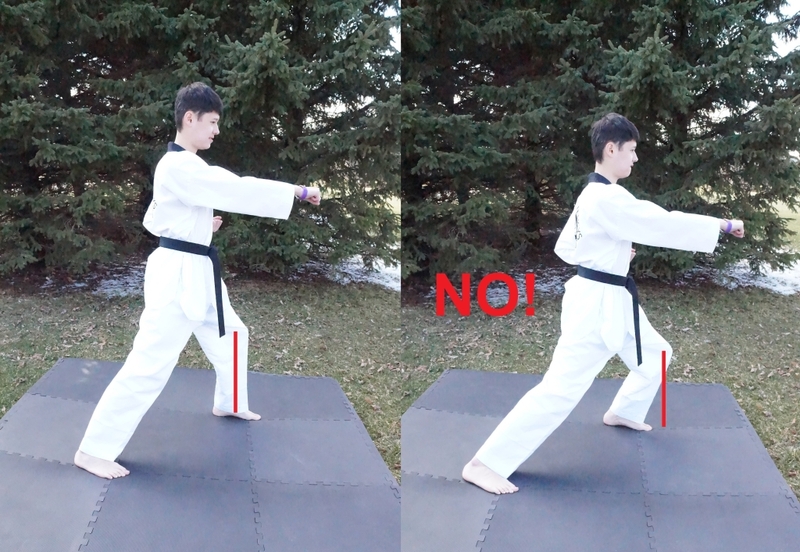 There’s also some unhealthy pressure on the outside of the front knee, but with less weight on that leg it is less noticeable and less damaging. In the second picture, you have the opposite situation. The pressure is on the inside of the front knee and the outside of the back knee. I have ranted about the importance of correct pivoting on my other blog, but here I will focus on pivoting only as it pertains to knee injuries. In short, it is extremely important for the standing leg to be in the right position when kicking. There are many, many ways to throw a kick. 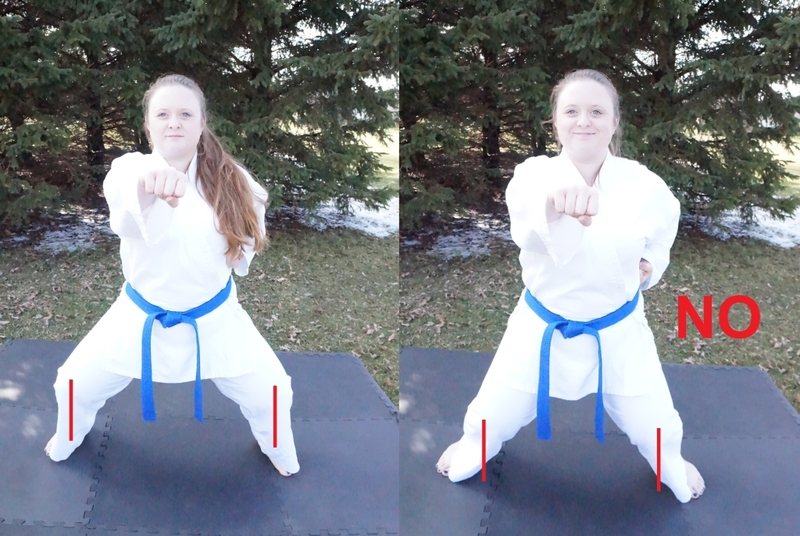 If you’re throwing a front kick, for example, you can throw the back leg or the front leg. You can throw it from standing still, from a step, a skip, a jump, a fly, a slide, or a retreat. You can throw it at a variety of heights. You can make it a thrusting or swinging motion, a strike or a push. You can optimize for speed, power, penetration or height. And that’s to say nothing of the countless stylistic differences between arts, let alone any kick besides front kick. It would be impossible to cover every pivot for every kick in an article like this, so instead I’ll lay out some guidelines. First, there is an optimal standing foot position that will vary according to the kick you are doing, the subtleties how you are using it, and the stylistic details of your art. Finding that correct standing foot position will not only be good for your joints, but it will also improve your balance and the effectiveness of the technique. Pay close attention to your pivot, and work with your instructor to make sure you are doing it right. Notice the angle between the standing foot (and the facing of the knee) and the direction of momentum. Another very common example is not pivoting enough on a roundhouse kick. 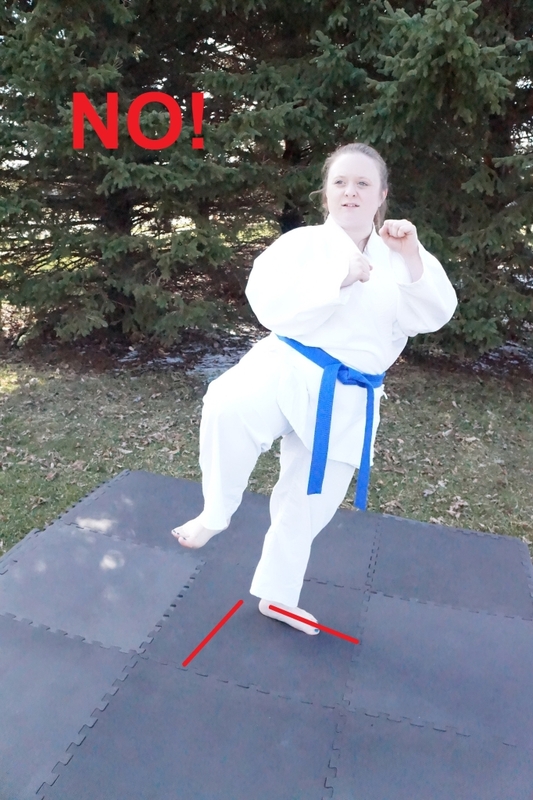 Not only does this make the kick very difficult to perform and take away a great deal of the power, you’re also putting a very problematic twisting pressure on your standing leg. The knee is more fragile than your femur (above the knee) or your tibia and fibula (below the knee), so that is the point that will take the damage if you twist your standing leg. Not only is this angle bad for the knees, it also makes it very difficult to swing the leg correctly. Sometimes, “correct” technique can injure your knees. This can happen for a lot of reasons. For example, in many arts, large classes used to be unusual and instructors would teach individuals or small groups. The training could be (and often was) individualized for the body type of the student. This could affect the art in many ways, but for the purposes of knee injuries, techniques could (and should) be modified based on the hip structure of the student. Without going into too much detail, the top of the femur and the socket part of the hip can vary greatly from person to person. One student’s foot might naturally rest to the outside, another’s naturally resting to the inside. Two students under the same master might have been taught a stance or a pivot differently based on body type alone. When those two were experienced enough to start their own schools, they would pass on their art first exactly as they learned it–and this is why there are so many styles of the same art. The point is, just because a movement is correct in your style does not mean that it is correct for your body. This problem is amplified in America, a nation built by immigrants from all over the world. The average martial arts class in America is likely to be far more ethnically diverse than the classes of the masters who created the arts we are learning. In America, we are likely to see more variations in skeletal structure than the founders of our arts anticipated. Even if a technique is correct in your style, adjust it if you must. Trust your body. Suppose you already have a knee injury. Maybe it’s a overload injury, or maybe it’s an overuse injury. You’ll probably need to see a doctor before you know for sure whether your injury can be healed or if it is permanent. Either way, there should be things you can do to mitigate any knee pain. For most knee injuries, moderate exercise will help with both the pain and the recovery (again, talk to your doctor for your specific situation). 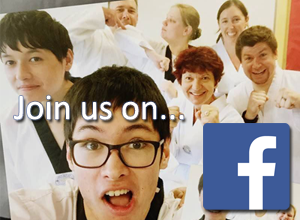 So in most cases you should be able to continue your martial arts training. By training correctly, you should become stronger, not weaker. 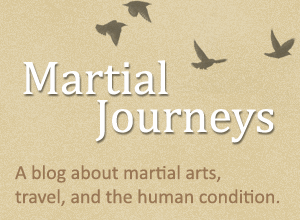 The goal of an unarmed martial art is to turn your body into a weapon. What good is a weapon if it’s broken? Practicing correctly should not harm your joints. If your training is damaging your body, find out why and adjust your practice accordingly. Episode 13: What’s the Deal with Energy? Copyright Martial Journeys LLC 2016. All Rights Reserved.